Tah-da!!! I know, I'm a little late posting 'as promised', but I've been busy with life in general, and my sis-in-law is in from Tokyo so we are playing with babies and catching up! With out further ado, I finally have a few minutes to post my new Joy banner! 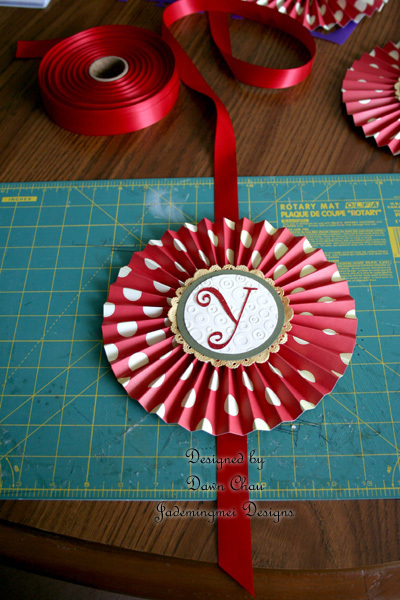 I love these rosettes and they are really easy and simple to make! This is the first vertical banner I've made and it's a nice change from always doing my traditional horizontal banners! Gotta switch it up every now and then, right?! This door is so 'sterile'...especially with no window! I think I'm going to dress her up often! The angle of the pic also makes the banner appear smaller than it really is. 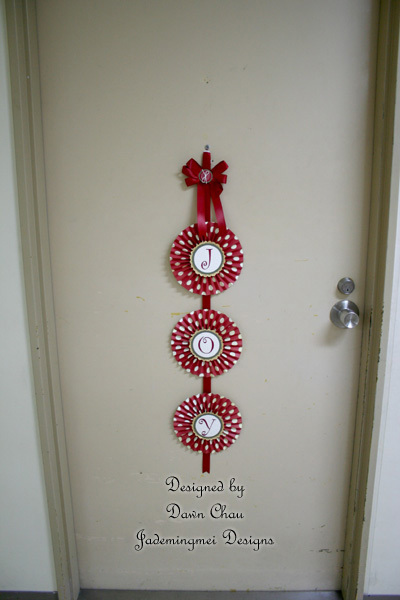 Each rosette is approx. 8 in. in diameter. If you've been following along on FB with the 'sneak peeks', this is where I felt something was missing and added the gold doilies behind the always artichoke card stock. The doilies added just the right amount of depth to the letter circles without being overbearing. Thought I'd share this quick tip on how to line up your rosettes on the ribbon! I used my self-healing mat that I've used for sewing. It's a larger mat so it allows you to turn either way and works great for longer banners. 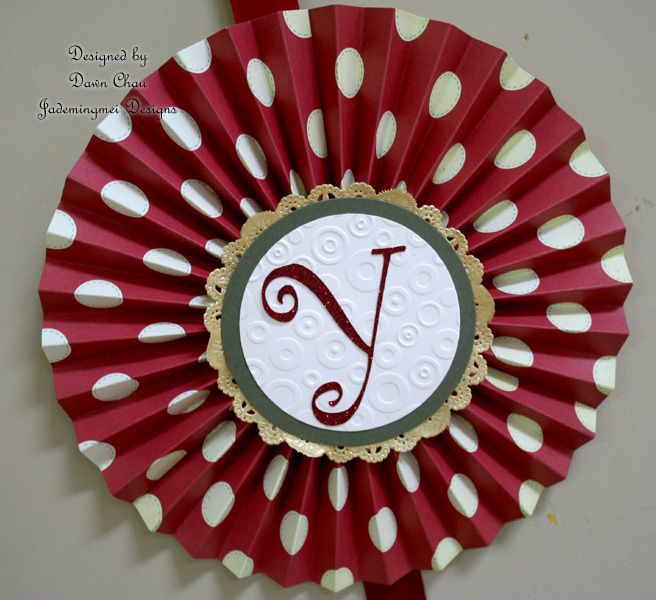 I'm going to try this design again, either for a Valentine banner or maybe even a Spring theme! Happy Crafting! So worth the wait! I love your work and this banner is just beautiful, Dawn! Thanks for the inspiration to try something out of the norm. Merry Holidays! !